Exogenous Pyrogen: microbial products, microbial toxins, whole microorganisms (viruses ). Eg. IL1, IL6, TNF, and Ciliary Neurotropic Factor (member of IL6 family), IFN-alpha. 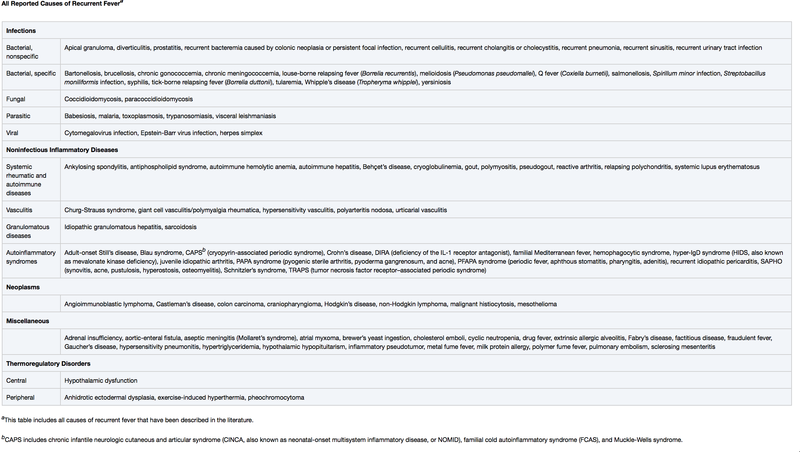 Definition: AM temperature > 37.2 (98.9); PM temperature 37.7 (99.9) defines fever. Thus, normal daily variation is 0.5 C or 0.9 F. But, in patients who are recovering from illness this variation can be > 1 degree C.
71 yo AAM with hx of SCL, present with fever of 1 day. 101 F. Persist. Started on Vanc and Zosyn. Fever persists. ANC 650. Neupogen given. ANC > 1500. Fever persists. 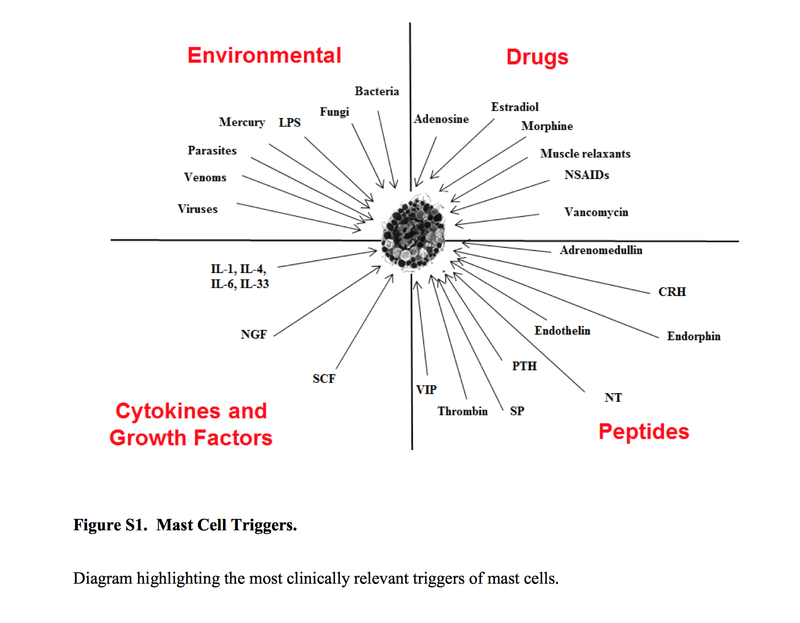 Procalcitonin: > 100, CRP > 30, Ferritin > 10,000, NK cell increased by 43 %, IL-2 receptor elevated. Has Splenomegaly that is same as it was 3 years back. Pan CT is normal except for few mediasteinal LN. BM Bxp is normal. Scheduled steroids is started, fever subsides for few days, before fever recurs. All cx are negative. What to do? 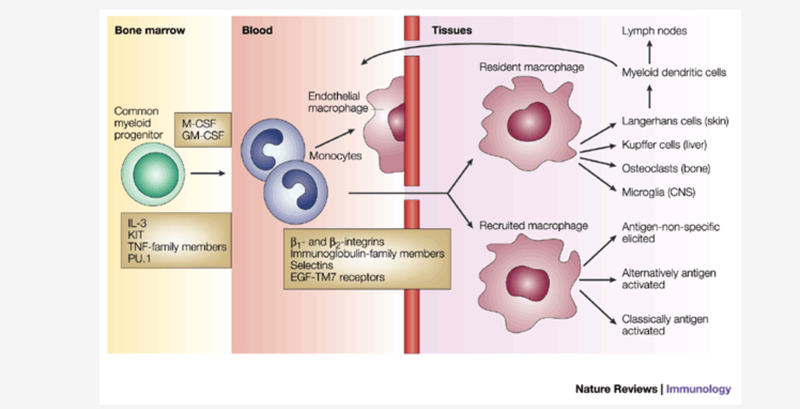 Patient has few monocytes in the circulation. 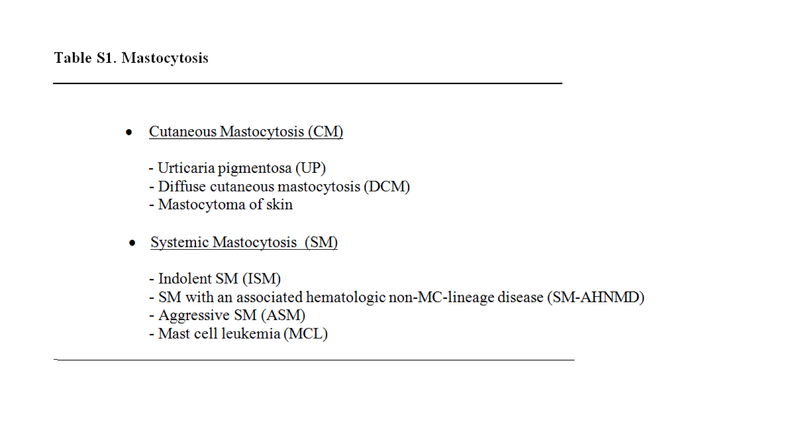 Could this be systemic mastocytosis. Less likely. 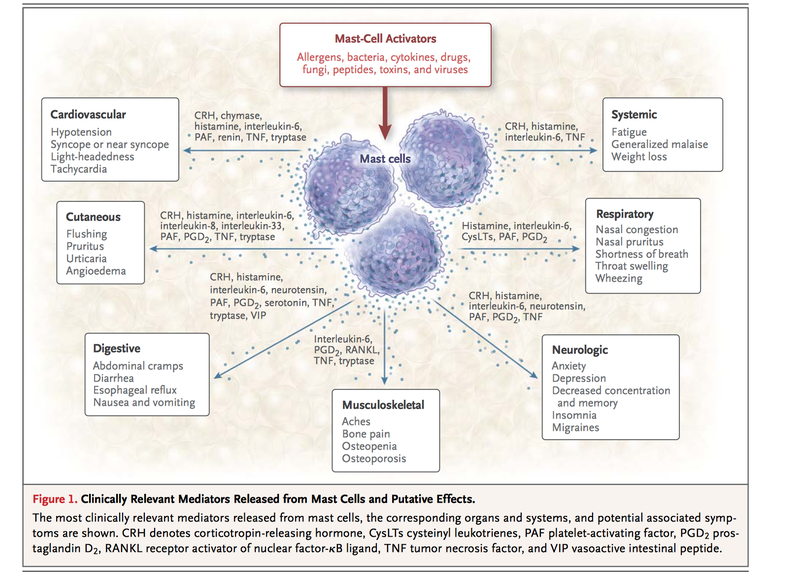 Below is the symptoms and clinical disease manifestations of Mast cell disease. It releases histamines, and many symptoms are related to that. The histiocytoses encompass a group of diverse disorders characterized by the accumulation and infiltration of variable numbers of monocytes, macrophages, and dendritic cells in the affected tissues. Familial and reactive hemophagocytic lymphohistiocytosis (HLH). Could this be HLH? Less likely. Even though patient meets these diagnostic criterias, NK activity was increased, not decreased. Acute monocytic leukemia (FAB M5). Could this be monocytic leukemia or lymphoma?